Munich, Bavaria’s capital, is not just good for the annual Oktoberfest celebration and its numerous beer halls, including the infamous Hofbräuhaus. In the Altstadt (Old Town), central Marienplatz square contains landmarks such as Neo-Gothic Neues Rathaus (town hall), and at Christmas time becomes packed full of Christmas markets. It’s a winter wonderland. Munich occupies an enviable geographic location at the heart of Europe. It is right in the centre of trade routes from west to east and from north to south. 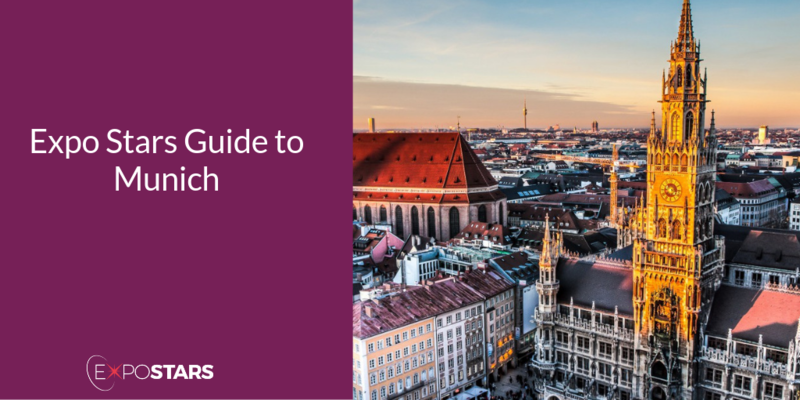 Plus, Munich and the surrounding area are repeatedly shown to be one of Europe's most dynamic business regions, with world leading international business hubs as well. Once you land in Munich airport, getting into the city is child’s play, with trains leaving from the airport station every 10 minutes. Hop on either the S1 or the S8 S-Bahn lines which connect the airport with the center of Munich. The exhibition halls and administration building of Messe München as well as the ICM – Internationales Congress Center München are located on the fairgrounds in Munich's east side. The MOC Veranstaltungs Center München is located in the north of Munich. Munich is a fun-loving city, known for its seasonal festivals and rich cultural calendar, but if you want to chill out, enjoy one of Munich’s many public parks and gardens, in particular the lovely 900-acre English Garden (Englischer Garten). Marienplatz and the Neues Rathaus - Marienplatz has been Munich's central square since the city's foundation. Englischer Garten (English Garden) - Munich's English Garden is not only the largest city park in Germany, it's also one of the most beautiful. Wirtshaus Hohenwart - Order fish from nearby Starnberger See lake or the regal veal schnitzel, cloaked in butter-fried breadcrumbs. Spezlwirtschaft - Subtle twists, such as kohlrabi schnitzel or spinach knödel (dumplings), freshen up this menu, or pig out on gooey käsespätzle (like macaroni with cheese).